Both the clubhouse and the Dunbarton Cabana have heated spas. Rules are posted. Residents must accompany their guests at all times and there is a limit of 4 guests per resident. 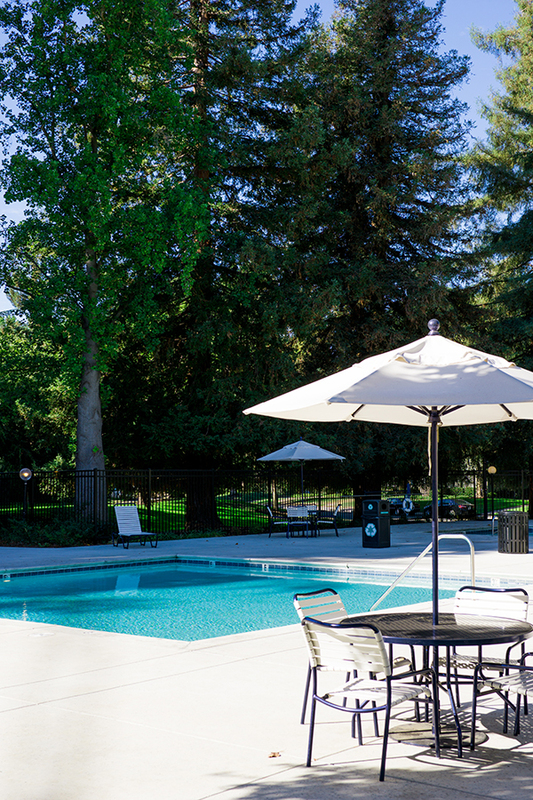 There are pools at the main clubhouse, Dunbarton Circle Cabana and the Elmhurst Circle Cabana. Hours are 7 a.m. to 10:00 p.m. in the summer. The pool at the Dunbarton Cabana and one of the pools at the clubhouse are both heated in the summer. Heaters are generally turned on once we reach 7 consecutive days of weather above 70 degrees. There are no lifeguards on duty and rules regarding children, pets, glass containers, etc. are posted at each pool. Pets are not allowed in the pool areas. If you see a problem with maintenance of the pools or spas, or with enforcement of the rules, call the manager at (916) 929-8380 or utilize the easy-to-fill out form found here. All pools are closed in the winter. The pools and gym require the use of an electronic access key. Each resident may obtain a key specifically assigned to them and registered with their photo on file. There is a $10 deposit for this key and a $25 replacement fee if lost. All key deposits are payable by check only. Guests generally have the same rights and responsibilities as homeowners. Guests must be accompanied by their hosts when using any of the amenities such as the pools, spas, gym or tennis courts. Residents, whether owners or renters, are responsible for educating their guests about Nepenthe’s rules.